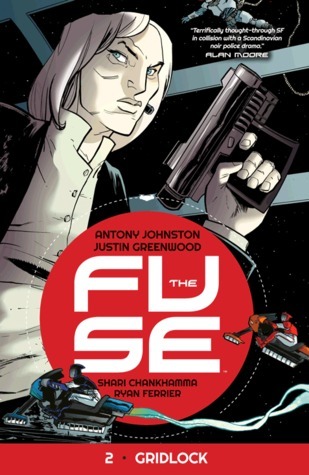 In the next installment in The Fuse series, we have Klem still being all badass for a 70 year old [total favorite character right here] and the new guy Ralph being all sneaky and up to something. After the murder of a prominent resident and somewhat outlaw [not the bad kind, more the rebel seeking freedom through illegal sports kind] Klem and Ralph have to investigate and find out which of all the shady characters did it. The story was good, especially because we see the relationship between Klem and Ralph grow, I mean, it has to be progress when she occasionally starts calling him Ralph instead of Marlene. Not only that, we get a nice cliffhanger that leaves us wondering what is Ralph really doing on the Fuse.